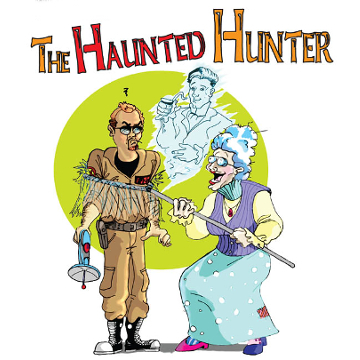 The Haunted Hunter | Jest Murder Mystery Co. The rumor is true! Word on the street? This place is Haunted! That’s right! …and lots of famous sleuths, detectives and ghost hunters from around the world will be there to catch a glimpse of our famous, (and elusive), ghost “Billy”, (better known as “Billy, the Spook”). Gee! If someone gets “Whacked”, we’ll have plenty of detectives to solve the crime, won’t we! Everyone plays a part! You could be “Sherlock Homes”, “Miss Garble”, or even “The Hardly Boys”. Call today for tickets to this “hauntingly silly” dinner theater.